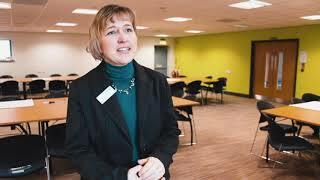 The 35th issue of Aycliffe Today Business – the magazine for Aycliffe Business Park – is packed with exciting news from around the business park, as well as a special six-page feature celebrating the fourth annual Make Your Mark awards event. Part of our special feature on Make Your Mark includes a piece on John Parnell, who was awarded only the second Aycliffe Ambassador award. 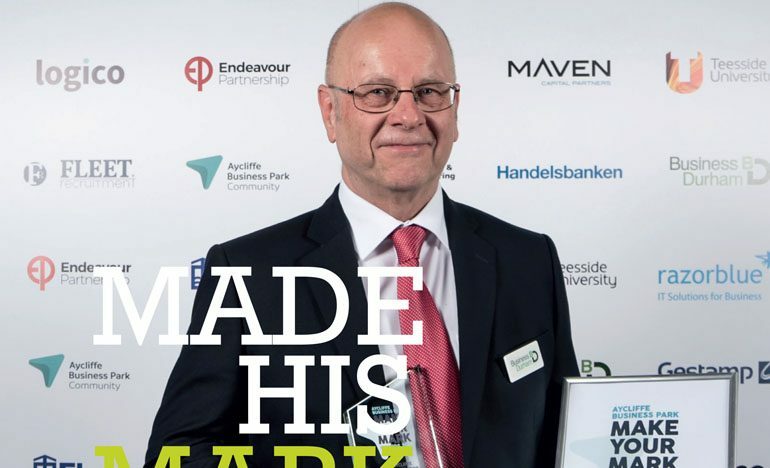 John is business development area manager (South) for Business Durham, the economic development organisation for County Durham, and you can find out why he was handed the coveted award on page 19. One of the most exciting bits of news is arguably the proposed new development by Merchant Anglo – the company which brought Hitachi to Aycliffe – and a 25-acre site which could bring hundreds more jobs to the business park (page 13). Positive news continues to reverberate around the business park, and this issue includes a long list of that, featuring the likes of Roman, Aycliffe Fabrications, BTS, Stiller, Baltic Training, Virtual College, Tekmar, Husqvarna, Crafter’s Companion, Ebac, South West Durham Training, Diamond Commercial Cleaning, Thrive Marketing and The Work Place, Pixel Media, Eldon Financial, Arlington Automotive, M5tec, Excelpoint, Gestamp Tallent, Fleet Recruitment, Sporting Force, Logico, Avec Partnership, Palram and Mill Masters. And with thanks to our advertisers: Certax Durham, OneGym, Lox of Love, Jackson’s Coffeehouse, Durham Lifting, Gregg Little Testing Centre, Aycliffe Fabrications, Parkin & Denwood, Endeavour Partnership, the King’s Arms, razorblue, Peasdeway Clinic, EMCON, Stiller, Woodham Academy, Commercial Expert, Cornerstone Business Solutions, Greystone Legal and Aycliffe Dairies. Click here to read issue #35.